On Saturday 25th of April 2015, 20 year old American student Ally Willen went missing after crossing Gillespie Pass between the Young and Wilkin river valley’s in Mt Aspiring National Park. The weather on the 25th was horrendous, with torrential rain, hail and gale force winds. Willen was tramping with two other American female students, but they became separated near the top of the pass. 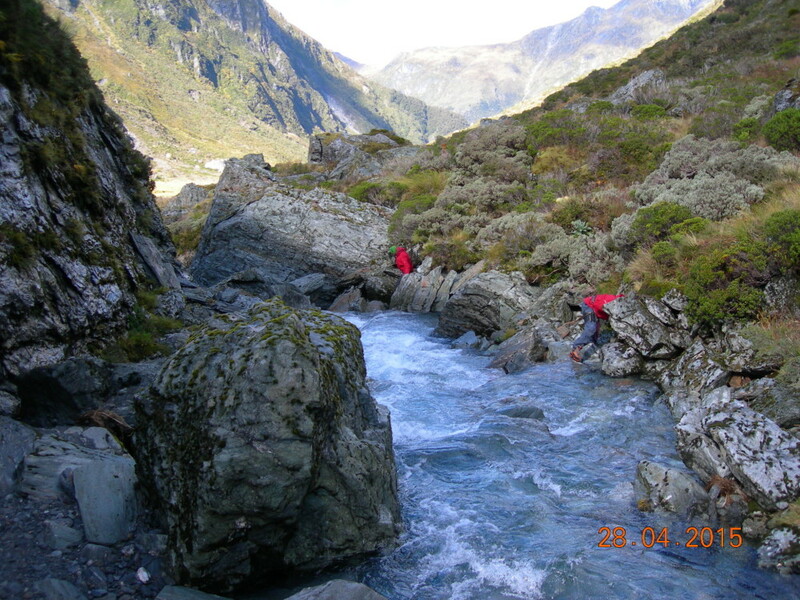 Willen picked her way carefully down the slippery steep tussock slopes alone, to reach the Young River headwaters. But while traversing a section of flooded track above the river, she possibly lost her footing and fell into the rapids. At this section on a fine day you could almost spit across the river but in flood crossing without a bridge is impossible. Wanaka Search and Rescue initially scoured the Gillespie Pass – Young River headwaters using helicopters and searchers on the ground. This search uncovered several items of clothing and a pack belonging to Willen at the high flood water mark of the river. These significant finds prompted searchers to believe she had been swept away. Her body, wedged between boulders and covered by foaming white water, was only revealed to searchers days later when the flood waters receded. Wanaka SAR are in the business of finding people alive and the efforts to this end are staggering. Over the course of the search around 100 people were involved. We threw everything at it, The Incident management team at SAR base pored over maps, gathered information, and created search plans. Ground crews made up of ACR, sub-alpine, dog handlers, and river rescue were ferried to the area by Aspiring Helicopters. Transitioning from searching for someone who is believed to be alive to looking for and recovering a body is difficult. It is usually a collective decision making process involving the Police, field team leaders and Incident Management. Body recovery requires almost as much effort as a SAR, the main difference being that if the risk to rescuers is deemed too high, the recovery will be abandoned. The day Willen’s body was found was pristine with blue skies, the river was low and clear. To ensure the safety and efficiency of the operation, it was crucial to have good radio communications back to the SAR Base in Wanaka. Weaving a radio signal past the mountainous terrain can be as logistically tricky as trying to communicate from the dark side of the Moon. To enable good communications a series of repeaters had to be set up on the tops of peaks, with the radio signal bounced in different directions at different frequencies. To the credit of Gary Dickson, the communications officer, this worked beyond expectations. The other search technique that was used to great effect by the River Rescue team was underwater cameras attached to a pole, which were linked to a laptop computer. The rescuers walked the banks of the river and searched below the waterline.The Young river drains into the Wilkin which flows into Lake Wanaka so there was a need to have boats with Marine rescuers searching the lake headwaters. Recovering the body from where it was wedged still required a specific skill set with technical rope systems, to enable access and safety to rescuers. There are multiple reasons to recover a body. For the rescuers there is relief that in some way they have achieved a goal. Without the body there is always second guessing, could more have been done, what happened to them … ? Willen’s father and uncle, who made the journey from the States were escorted by rescuers over Gillespie Pass on the day of the recovery. This was an act of great compassion by Wanaka SAR Police Coordinator Aarron Nicholson, as it gave the two men a chance to ask questions, to see and feel the place their loved one had spent her last hours. To then be able to take her body home was a vital stepping stone at the start of a grief laden journey.